Day three of my cross country voyage started early and brought me from Princeton, New Jersey through the hills of Eastern Pennsylvania to State College. State College is almost directly in the middle of the state. I started this day very early. I was meeting an old friend from my days as the National Committeeman for the Young Republican National Federation from Massachusetts. Tim Hennessey lives in Pottstown which is a little bit west of Buck’s County, so he picked a great little diner that was on my chosen route in Boyertown, PA, The Bear’s Den. I made my way west of Princeton through some rolling hills, and passed a couple of headquarters of multinational pharmaceutical companies along the way. I crossed the Deleware in a town I vaguely remember being in before. It was the Lambertville, New Jersey and New Hope, Pennsylvania crossing. Lambertville is a quaint river town, and was the terminus of the York Road, which is now U.S. Route 202. Which I crossed in and out of on this journey. I travelled through Bucks County Pennsylvania on my way to the Bear’s Den. It was a fantastic drive. 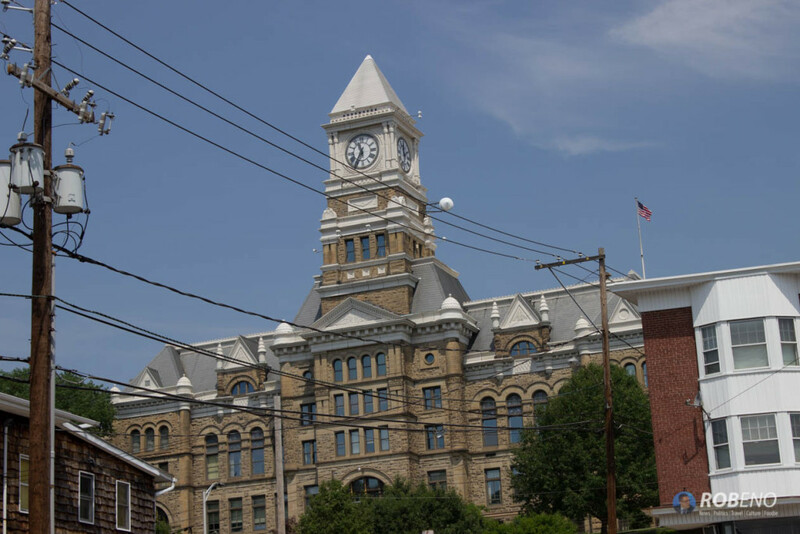 I had been to Buck’s County and Doylestown once before, back in 1996 when I picked up my first company car when I worked for Betz Dearborn in the paper industry. It was as nice as I remember. Being rush hour it took a little longer to get to the Bear than I had originally budgeted but Tim and I arrived at about the same time. It was great catching up with Tim and learning what he has been up to. His dad is in the Pennsylvania legislature, it was interesting hearing the challenges they are going through in that state. 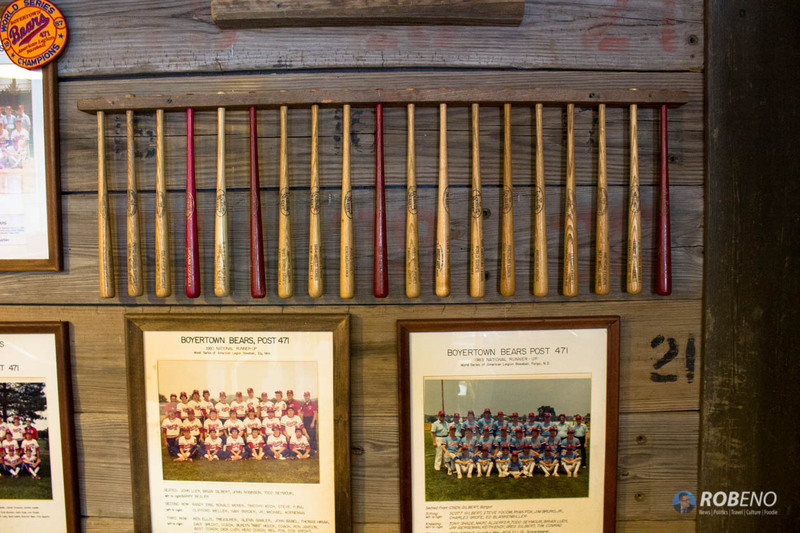 Tim also knew some of the history of Boyertown, more specifically their American Legion Baseball Team, The Boyertown Bears. The team is a perennial qualifier for the American Legion World Series, as you can see by their collection of World Series bats in the phot below. While we were in the restaurant, another patron overheard me say that I was working for Conservative Review now. The patron, who was getting off his third shift job, had heard about us while listening to Mark Levin. It was affirming of the work I am doing to hear someone random said they read you. We talked to this gentleman for quite some time about the history of Boyertown – it once had a thriving coach and auto industry – and the state of the local economy. When the downturn happened in the late 2000s he was laid off and it took him two years to find work. When he finally did, it was 50 miles away. He said there wasn’t much industry in Boyertown anymore. Something I found to be the case along my route this day. Before we left we met the owner of the establishment who thanked us for coming, and we talked about the trip. She was very happy we chose her establishment and thanked us profusely. She even reposted the Facebook photo we took. After leaving Boyertown, I headed out on backroads towards State College. One of the things you quickly notice about Eastern Pennsylvania’s hill country, just Southeast of the Poconos, is that it is pretty economically disadvantaged. 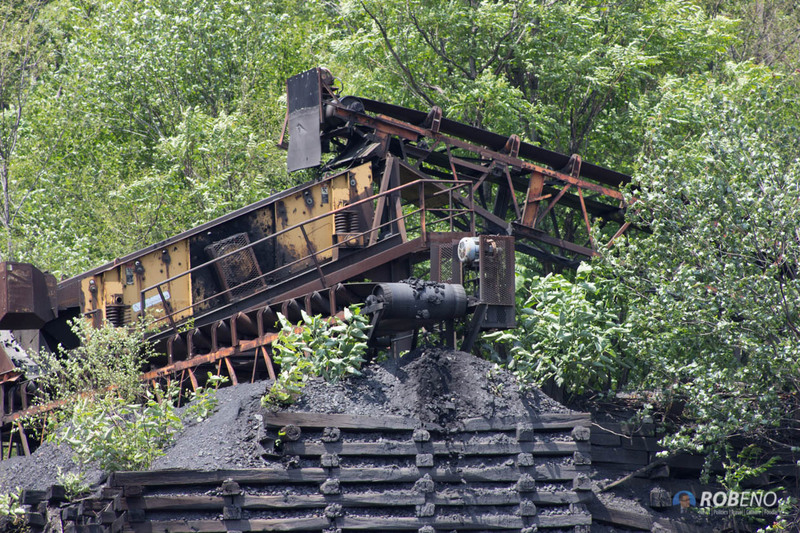 The industries they once enjoyed are drying up and they haven’t been replaced. Another thing is how close the houses are to the road. In a lot of the small company towns, the porches of the old company homes are almost right on the street. It is a neat sight. As I was driving, I noticed a cityscape on my left and took a detour. I was glad I did. I drove into Pottsville. You may know Pottsville as the home of Yuengling Brewery, it was a neat, if economically challenged town. The tours for Yuengling weren’t until three o’clock in the afternoon and it was a little after eleven in the morning when I arrived. I chose to not take a tour, but instead walked around the downtown of Pottsville. All around you, you could see the grandeur the city once had. Two data points stuck out to me about the state of the economy in Pottsville, both had to do with Real Estate. I saw an investment property opportunity that needed some work. Despite the work the five unit residential building in the downtown was selling for $39,000. Not $39,000 a unit, but $39,000 for the whole building. 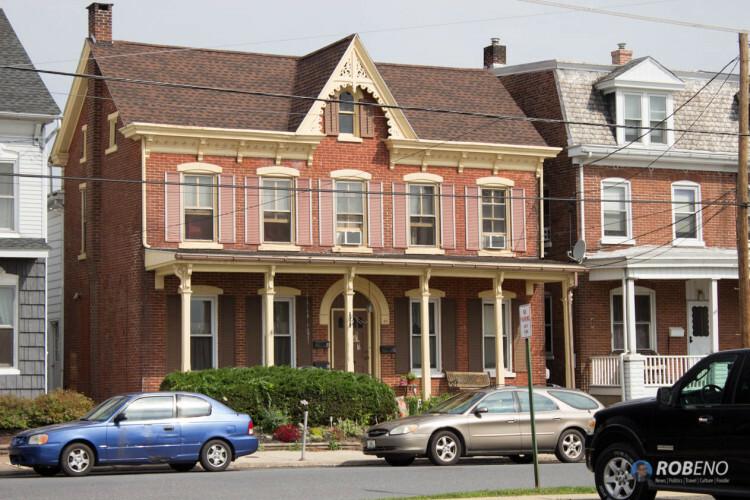 The second was that a 4900 square foot mansion on the city’s “Mansion Row” next to the Yuengling Brewery was selling for $275,000. It was in perfect condition. Boston and Pottsville have a connection I had not realized before. The Pottsville Maroonss were a team in the National Football League during the 1920s. 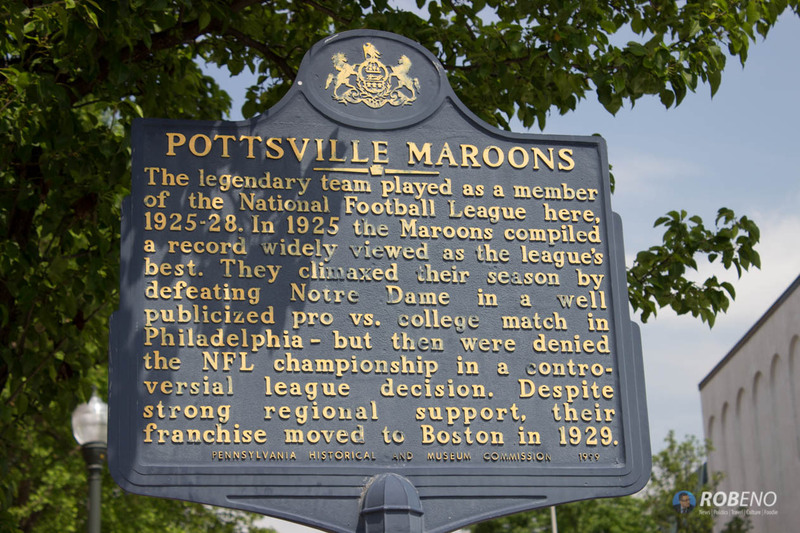 After the Maroons got robbed of an NFL Championship the league decided to move the team to the larger city of Boston. They lasted one year in Boston before disbanding. After spending about an hour walking around Pottsville, I hopped back on the road to State College. I drove through more hill towns, this time in the Allegheny Mountain foothills, and as I approached State College drove through some of the Alleghenys themselves. A little bit Southeast of State College, I happened upon a working coal processing facility and took some great photos, and a short video. I rolled into State College at around two in the afternoon and checked into the Super 8 hotel and did a few hours of work. In the early evening I decided to take a ride into State College’s downtown to eat and explore. I saw an intriguing restaurant in the local food magazine called Liberty Craft. 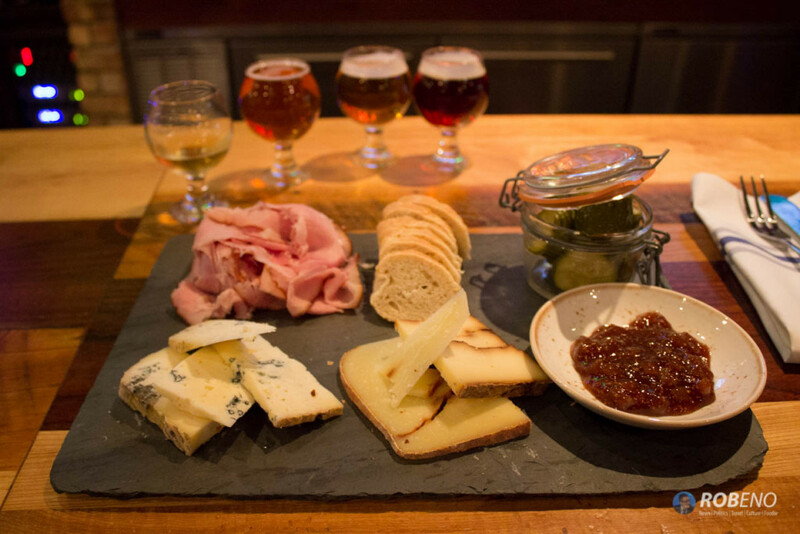 It was billed as an artisanal, local food and drink restaurant. Unfortunately for me it failed in that. I’m not someone that is averse to paying good money for good food, and that is what I hoped would be happening at this restaurant. I was disappointed. The staff was entirely college students, which would be fine if they would have paid attention to anyone but the other college students in the establishment. They also had very little knowledge of the menu. I ordered the local charcuterie and cheese plate and they didn’t know what would be coming on it. Their charcuterie doesn’t include any house made items, and it didn’t really look like there was a professional kitchen staff on site. Just some college kids basically making subs but with a little bit better quality ingredients. I also got the mussels which had not been purged of sand and grit and were both over priced and not that tasty. After the meal I drove around the Pennsylvania State University Campus. I was impressed by the size and immaculate condition of the campus. It was evident throughout my two days in the state that Pennsylvania spends money on infrastructure, unlike in Massachusetts they get a good result. 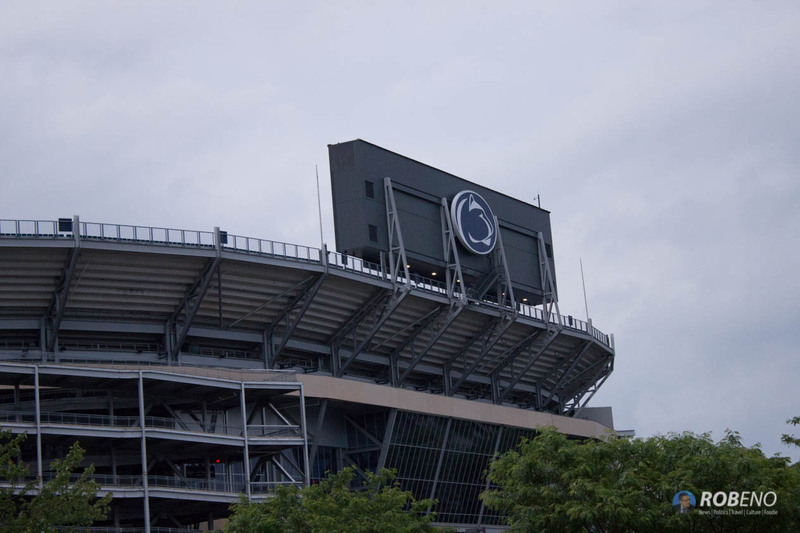 I drove around the outside of the Penn State Stadium and up to the new hockey rink. Until recently Pennsylvania State did not have a hockey team. The owner of the Buffalo Sabres is an alum of the university and gave $85 million to develop a hockey program including a state of the art arena. Their entry into NCAA Division I Hockey, caused the Big Ten to form a hockey league and led to the formation of another new league to pick up the pieces of the non Big Ten Midwestern schools. After touring the campus, I went back to the hotel room to finish up working for the day, and fell asleep.